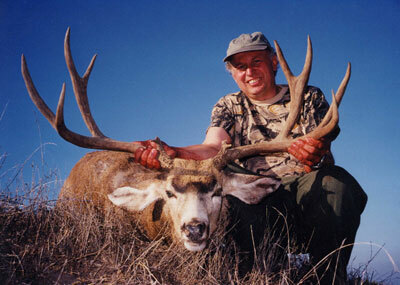 In 1999, Mike Cyzoski of Massachusetts, took the widest rack buck ever taken on Santa Rosa Island. The buck measured 35 3/4 inches. The island is located off the Southern California coast. Mule deer from the famous Kaibab plateau in Northern Arizona were transplanted to the island in 1925. In 2011 the National Park Service will take over this island and all the deer will be removed. Between now and that time, Multiple Use Managers, Inc. (MUM) runs the hunting program on this island which is 54,000 acres (85 square miles) in size. In addition, MUM has many other hunting programs on other private ranches in the western states. If you are interested in any of the hunting or fishing opportunities provided by Multiple Use Managers, contact Gordon Long at (800) 557-7087.